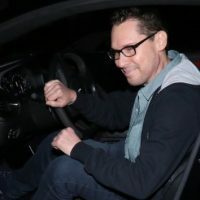 Photo by Hollywood To You/Star Max/GC Images(LOS ANGELES) — Millennium Films, is standing behind Bohemian Rhapsody helmer Bryan Singer, the embattled director of its upcoming Red Sonja reboot, despite new allegations of sexual misconduct involving multiple men. “I continue to be in development for Red Sonja and Bryan Singer continues to be attached,” producer Avi Lerner wrote in a statement to The Hollywood Reporter on Thursday. Lerner’s staunch defense of his director comes amid a flood of emails over the past 24 hours, calling Millennium complicit if it continued to work with Singer, sources tell THR. The Atlantic published a piece on Wednesday in which multiple men claimed to have had sexual contact with the X-Men director when they were under than the age of consent. Singer has denied the claims, calling the article a “homophobic smear piece” that was “conveniently timed” to take advantage of the success of Bohemian Rhapsody. In 2017, a man named Cesar Sanchez-Guzman sued Singer, claiming he raped him in 2003, when Sanchez-Guzman was 17. Singer has denied that accusation as well. The case is still pending. Singer was fired from Bohemian Rhapsody two weeks before the scheduled end of shooting over what the studio called “unexplained absences.” After a hiatus in filming, actor/director Dexter Fletcher took the reins, but due to union regulations, Singer remains the only credited director on the project.